BATCH 2 EU DELIVERIES ONGOING NOW! We are ecstatic to see that the EU batch 2 bikes are now being delivered all over the EU, many of our backers have already received their bikes! choosing UPS as our delivery partner was the right move as the bikes not only moved faster through customs this time around, they are also much more transparent with the tracking online as well as easier to contact if you have any issues, we believe we will use them as our EU partner for the foreseeable future. If you dont already have your tracking number you can find it by logging into your account at starkdrive.bike (click REWARDS) at the bottom (footer) of the page. If you dont see it there then just send us a message through chat or email and remember to include your backer number or full name. we will get back to you with your tracking numbers. Note: when you receive your bikes, check the boxes for any damage and if so report this to the carrier on delivery. this is very important for warranty claim purposes if there is any actual damage but that being said we have learned a lot from batch 1 and have improved packing substantially. if you do have problems with your bike please do not panic, just send us an email and we will troubleshoot the issue with you, seeing as how these bikes were delivered much more quickly, battery drain should not be an issue. We strive to ensure you get the perfect bike that you backed but we are people too, please treat us kindly and we will do the same. In the near future we will be launching a SMART helmet that not only has LED indicators but also full bluetooth connectivity with your mobile and ability to play your tunes on the go as well as take calls and use your smart assistant. This product does not have all the features we intend to have with our smart helmet and the cost of this helmet is somewhere in the 230 USD range. We intend to launch Stark Drive SMART for a cost of under $100 US. Indicators on the LED will be controlled from the handlebars enabling those behind you to see what you plan to do and making you safer on your journey especially in bustling and crowded city environments which we hope will reduce even further the chance of any accidents occurring to our valuable backers. Not only will Stark Drive SMART have more features then the competition but just as we apply our company mantra to the most affordable electric bikes in the world, so does this apply to bicycle accessories and espeically those that have an impact on safety. Well its about time that I shared a few words about when your very on custom configured Stark Drive arrives to your door. We have had some situations where our backers are a bit unaware of the procedures involved in receiving your stark drive to assembly to riding and maintenance. 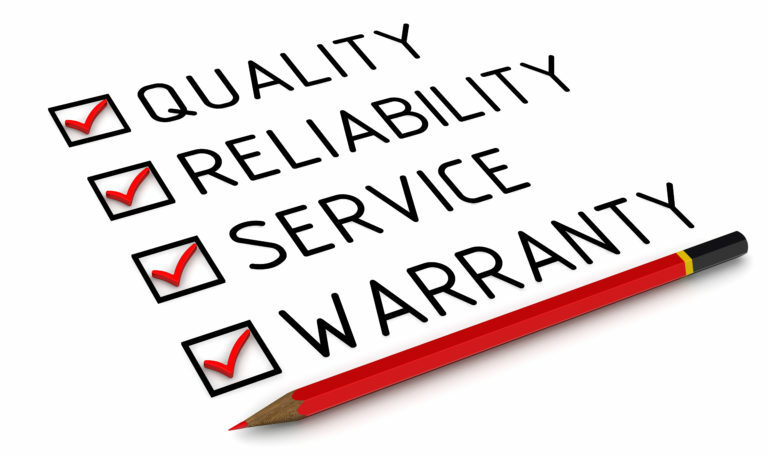 Its really important to understand what you should be checking for and doing in order to ensure your warranty remains valid and even to assist us in validating any claims if such occur. Before accepting your Stark Drive from the final Carrier, check the box for obvious damage or whether the box has been opened. All our bikes have tamper proof seals. If the bike is opened for customs purposes they will have their own special branded tape which indicates as such. if the box has been opened and not resealed or resealed with normal tape, it means that items may have been removed from your box. Be sure to mark this on receipt with the carrier and immediately contact us with photos. Damage must be reported within 1 week of reception. If when you get Stark Drive there is damage that was caused in shipping it must be reported to us and fully documented with photos/videos within 1 week otherwise our factory WILL NOT honor the warranty they provide us and we do not have any spare parts. The factory can track reception as can you or we with the information available online via tracking with the final carrier. Any damage or defective parts will be replaced by shipping them from china at our expense. Final installation is the responsibility of the backer and must be done professionally. Our warranty is 6 months (unless you backed an additional warranty of up to 2 years). The warranty does not include ware and tare and frankly the warranty is mainly for the electrical system (including the battery) as these components are expensive to replace, the other components on the bike are time tested to function durably as we use all brand name parts such as Shimano. If something goes wrong during your warranty period, we need to send evidence of this to the factory. Before contacting us, take photos and video of the problem and describe the problem well to us in your email. This information will be passed along to the factory whom make the final judgement of how to repair any problems. Just like anything else Stark Drive requires maintenance. You need to keep it properly lubricated and tuned. In fact we recommend that you take your bike to a bike shop for final assembly and tuning before even riding it the first time as the bike gets jostled around a lot in shipping and bolts nuts etc can get loose. This is a high performance machine and to keep it operating optimally why not start with it being perfectly assembled and tuned? Does this need to be assembled at a Bike Shop or can i do it? Here at Stark Drive, our company's Mission Statement is first and foremost to be an enabler of electric bike technology to the masses. This primarily means lowering the barrier to entry so that the primary hurtle, affordably, is removed. 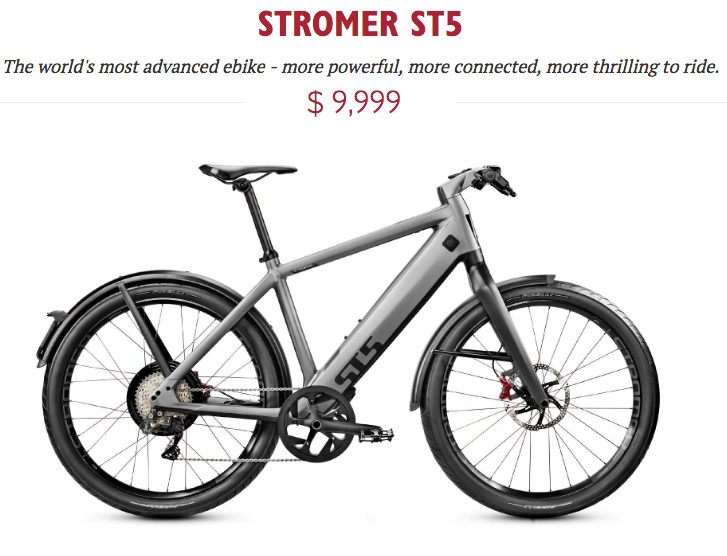 Not everyone shares this conviction however as is seen by the Stromer ST5 Electric Bike which is to be released soon at a price of 10.000 USD for the base model. This is 25X the cost of the base model of Stark Drive! It's truly unbelievable even after putting it in black and white. There is no doubt that this is the pinnacle of electric bike tech with all systems housed internally, no brake cables or any other cables to speak of visible and a host of wireless features which are ultra cool and connect to your Smart phone but 25X the price? We are eagerly reviewing the tech with our engineers both in house and at our factory and our goal is to incorporate as many of the features housed inside this luxury electric bike so that we can bring it to the other 99% at an affordable cost. We are delighted to announce that the Swedish bikes have finally successfully been loaded onto the containership. Its been very frustrating as our competition or other manufacturers whom decided to cut corners and use lower quality lithium ion cells in their electric products (be it bikes or otherwise) caused a number of fires on containerships over the last several months resulting in an increased government intervention and presence when it was found that containers contained large quantities of lithium cells. We anticipate this arriving around the end of May at which point bikes will be sent to the final backers. We are excited to announce that batch 3 has also been submitted to the factory and paid for. The bikes were submitted according to schedule and we anticipate upholding our original manufacturing schedule with an anticipated shipping of end of may for batch 3. One of my personal greatest inspirations in my continuing endeavors to become a global enabler for electric bike technology comes from one of the pioneers of this movement: Sondors. We recently received an update email from Sondors with the fantastic news that they are entering the 'Folding' ebike space meaning that we over at stark drive were onto something when we launched Stark Drive, as the original Sondors above no no ability to fold. Their first entry into the folding space was Sondors Fold (below), and we are intensely interested in introducing a complimentary product as part of the 'Stark Drive' line-up of bikes, more on this later. More importantly, Sondors has now introduced the Sondors Fold Mini which seems to be a distant relative of Stark Drive Mini (which we are launching in Late Spring/Early Summer. Sondors has priced his Mini for $799 with an impressive set of features. One design choice he made which we thought was a bit of overkill was disc brakes on a bike with low inertia and momentum, such a powerful braking system adds, unnecessary cost to the design, in our opinion. Stark Drive Mini will be infinitely upgradable and starts at an unbelievable $299 US. Backers will even have the possibility to back a Stark Drive Mini you can fly with anywhere in the world, batteries an all. The First eBike in the world designed to fly! Note that if you do want to have some weather protection (fenders) and a rear rack for a Sondors fold, the cost to upgrade this feature is $169 USD. If you compare to Stark Drive City the cost to upgrade this feature on our bikes is a rather more affordable $70 USD. 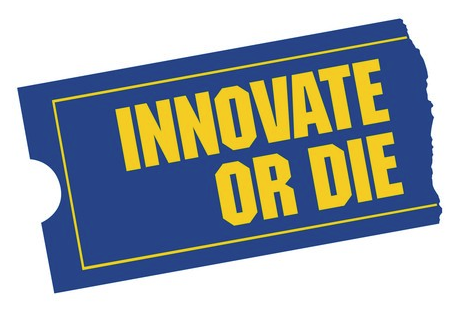 Above is a reference to the disappearance of Blockbuster Video whom failed to innovate and was actually offered the chance to invest in Netflix at a very early stage back when they used to mail out DVDs. We think competition drives innovation. Instead of competition we consider these other players our mate that in a functioning market economy it is the backers that decide what ultimately survives in the marketplace and what is out-innovated by competition. Although our blog updates have been somewhat less frequent things are still moving and shaking here at Stark Drive headquarters. Bikes have been leaving the factory and the new batch of bikes has officially closed and been released to for production. The factory is just finalizing some issues related to currency fluctuations which has held up the physical start of production but we anticipate this very soon. The currency fluctuations have been caused by the devaluation of the RMB over the last several months in comparison to the USD which has several contributing factors not the least of which has been the trade war which has ensued between these respective superpowers. The factory originally quoted us in USD and as we have such excellent pricing, it does have an effect on their bottom line. In the future we have requested all pricing in local currency to avoid any hold ups in this regard. We are pleased to announce that all the EU tacking numbers (minus Sweden, and a few other countries) have been added to your respective accounts and/or paypal (if you backed us via paypal). These are placeholders. The numbers are accurate (Delivery via UPS) and will begin to function once imported into the EU. This is the same as how the US/Canada bikes were sent meaning the numbers will show no activity until they reach the carrier after clearing customs and they take possession to deliver the bikes to the backers. This could take a few weeks but less time then it took for our overseas based backers. We will be in touch with the respective backers with tracking information once we receive it as well as ETD, and ETA dates. In the last several weeks there have been some catastrophes due to lithium ion batteries on board cargo ships bound for countries around the world departing China. We are super please to report and feeling quite fortunate that Stark Drives Cargo Container Was Not Among the Damaged. However due to the catastrophes which you can read more about below (use a translator as the news in in Chinese) the Chinese government has really stepped up monitoring and security precautions for any containers containing lithium cells meaning that although the Sweden bound bikes left the factory several weeks ago they have been stuck at the port waiting to board a cargo ship for the last few weeks. This is horrible news for our manufacturing partner as they are legally forced to cover all 'storage' charges at this port while the government conducts their audits and this has already run into the thousands of dollars. This will not effect any of our backers or Stark Drive but it does effect the bottom line of our manufacturing partner and consequently in the future possibly Stark Drive. The first meeting between our respective councils and the arbitration judge took place as scheduled. It baffles us at Stark Drive that Mate decided it was not worth their time to take part in the proceedings. Indiegogo was there in a more reserved fashion. This type of behavior would only serve to frustrate the judge and does not reflect well upon Mate. The judge has given Mate until the 27th to respond in written form. On an aside, I remember watching cartoons as a child, specifically those of an ostrich whom when frightened or in danger decided to duck its head in the sand and since it could no longer see the coming peril it obviously did not exist. From what i remember in these cartoons, it never worked out too well for the Ostrich. EU Bikes Leave Factory, Excitement Ensues, Yes we Used the Train Again. Super excited to report that the EU bikes as of a couple days ago left the factory. Below you can see photos of the bikes as they head to the logistics partner for eventual loading on to a train bound for the EU. Last time (which was near christmas 2017) we experienced really long delays during the EU import process and we were very hesitant to send the bikes the same way this time but we were assured that this would not occur now as the christmas rush is over and we are using a different import point. Theoretically, the train should be about 50% faster then the boat for transport to the EU at 2-3 weeks. Once it arrives to the EU, they will go through import and inspection and then will be sent to the local delivery agents warehouse for final delivery to your respective doors. Since the delivery will be much faster then time, we dont anticipate any issues with low voltage batteries and we have packed these bikes much better so we anticipate no damage during the shipping process. Further, EU delivery agents generally are much kinder to our bikes then their partners in the USA. Tracking Numbers for your respective bikes will be sent after they are imported to the EU and once the local delivery agents get the bikes, these will be uploaded to paypal (if you backed us that way) and/or sent to you via email. Talk about a logistics nightmare! we have been trying to find the most affordable ways to get bikes to far away places such as Costa Rica, Argentina, Uruguay, Kuwait, Mexico India etc) and due to the various import procedures and taxes etc the delivery can vary from Express air shipment to Boat shipment delivered to the port. Note: we always work to get you the most affordable delivery method but in some cases such its impossible due to local regulations to get a super low price. We have a solution for this however, tell all your friends when you get your bikes so that next time we send a minimum of 150 units to your respective countries and then we just send a container which is ultra affordable. 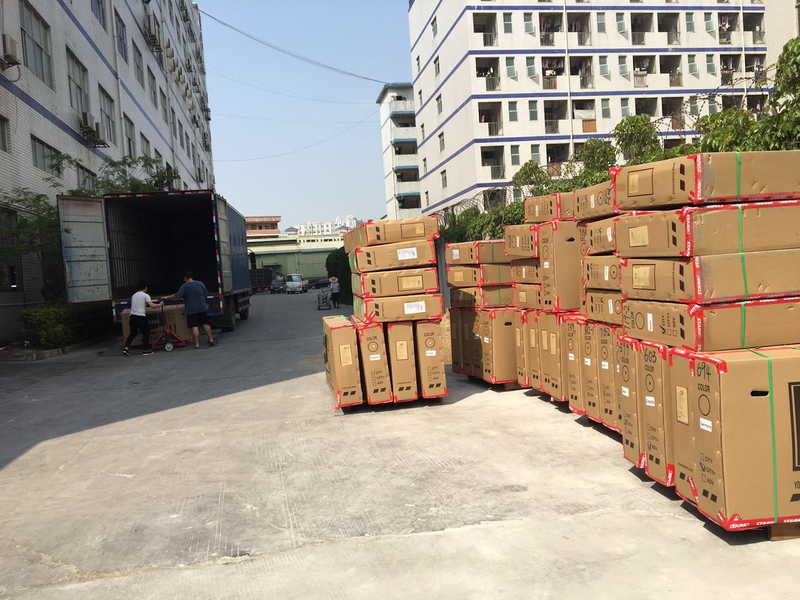 All of these bikes are going out next week, we should have photos of them as they leave the factory which we will publish when we receive them. We love feedback and some of our backers have thoughtfully taken the time to send us reviews of their bikes from batch 1 which we appreciate, we want to improve all the time and make Stark Drive the best electric bike in the world. Also if you have the opportunity to review us on Trustpilot, that would be excellent, good or bad it helps us to improve. The first meeting regarding this arbitration for tortious interference between Mate/Indiegogo and ourselves has taken over a year since the events took place (February 23 2017) but its finally happening. April 10th is the first meeting between the respective parties. We will of course keep you updated on the events as they transpire as we aim for full transparency. The Container for EU bikes are about to leave and you dont want to miss the boat. 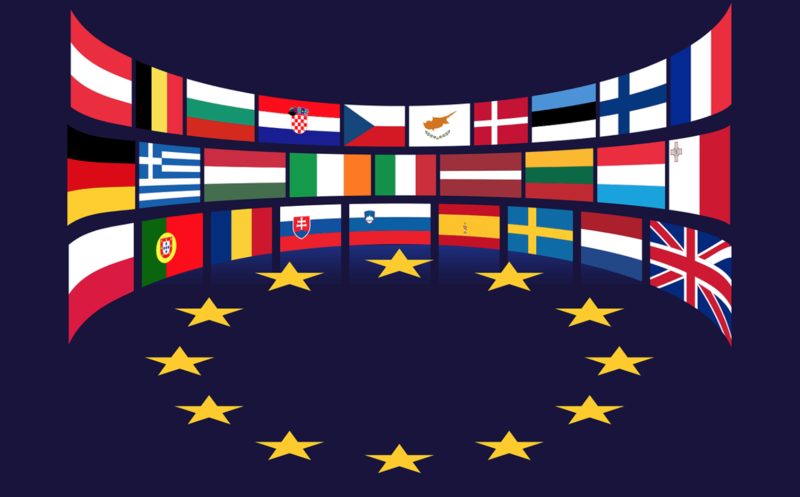 If you have been contacted about covering duty and taxes for import into europe please cover these fees ASAP by clicking on your individualized link. Note we have fixed the issue we were having with our shipping calculator on our website. These bikes are going out and there are some instances where we have had to pay our import agency in the local country in order to get the bikes through customs, these fees are passed onto the backer as it ends up saving the backer a significant amount of money from them trying to do this work themselves. If you have been emailed please cover these fees. A tough nut to crack, shipping to ones home is extraordinarily expensive in some instances such as Brazil. We recommend that our backers in south america act as importers and import their own bikes to save on costs. No significant problems shipping here. Please keep checking your email if we need to pass along any information to you. We are please to say that batch three has now closed and manufacturing will begin shortly. we appreciate all comments and queries that we receive from backers. We even more appreciate feedback that we have received on our bikes from some backers and their experience with them. Thank you! These comments will help to improve Stark Drive for the future. We have started sending out some requests for paying for importation duty and customs fees to our backers in the south pacific, asia, middle east, and south america. you may have received an email regarding this if you have backed an email from these locations. Note that these fees are a real bargain as we learned in our first batch of bikes to the same, sending it via LCL (less then a container load) incurs many extra fees not to mention the fact that the backer is required to act as the import agent which in itself takes a long period and incurs storage fees at the port. None of these additional funds to go us rather they to go the logistics company. All the EU bikes will have customs and duty fees sent to the backers and must be paid before they leave the factory. These will be coming in the next few days. 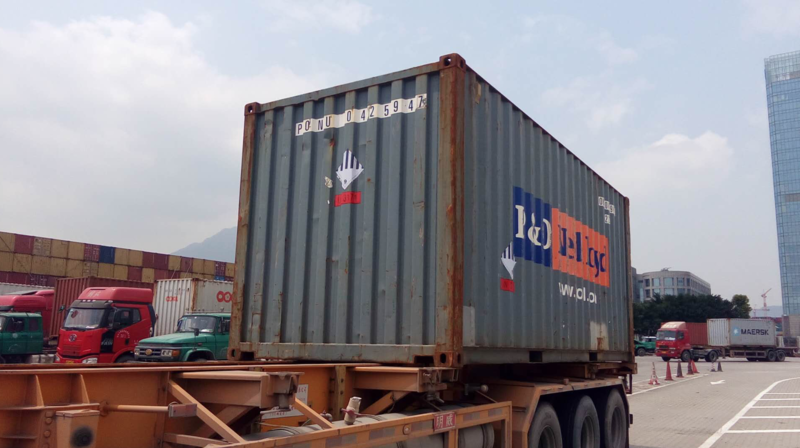 Below you will see photos of the full container for the above titled locations. Once these get to Sweden we will send customs payment requests and then send them out via UPS or DHL to your homes. We expect it to take about 4 weeks for the bikes to arrive to us here in Sweden. I went to Denmark last week for the day in order to attend the trial that was brought up against our lovely competitor mate for breeching the marketing act in Denmark. I had the chance to meet Michael and his sister. The trial went exceedingly well and we believe that we have succeeded but the results and decision are not going to be posted till April 25th. We are excited to report that the Sweden container has been packed and left the factory and the EU bikes have done the same. (Yes Sweden is in the EU, but for this back we have asked for additional bikes in order to launch our showroom). All the bikes have been paid for and are departing on their boat voyages to the European Port in Germany for eventual distribution throughout all of the EU. We are not using the train system this time as it turned out to be exceptionally slower then boat shipments due to the overload of shipments coming this way from China and the underprepared reception point in the Netherlands. As the saying goes, fool me once shame on you, fool me twice shame on us. 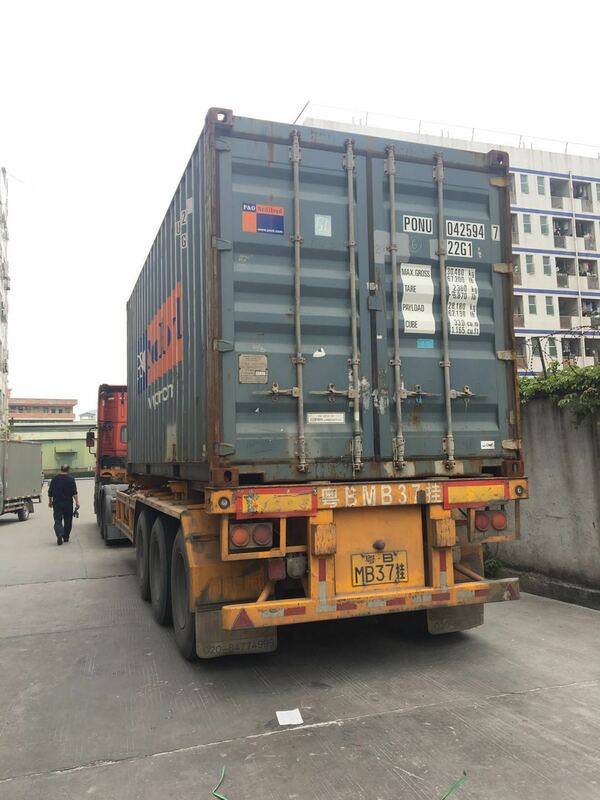 It is estimated to be a 4 week boat journey at which point it will take a few days to clear customs and then out via local carrier (NOT TNT) to the final destination - your homes. We are shortly going to be sending out customized links to each and every one of you to cover duty and taxes. Each link will be to our website and customized only to your backing, and hidden. Once payment is made it will automatically register and confirm your bike and its final journey to your homes. It's very important to cover these fees ASAP to avoid any redirection or delays of your bikes. 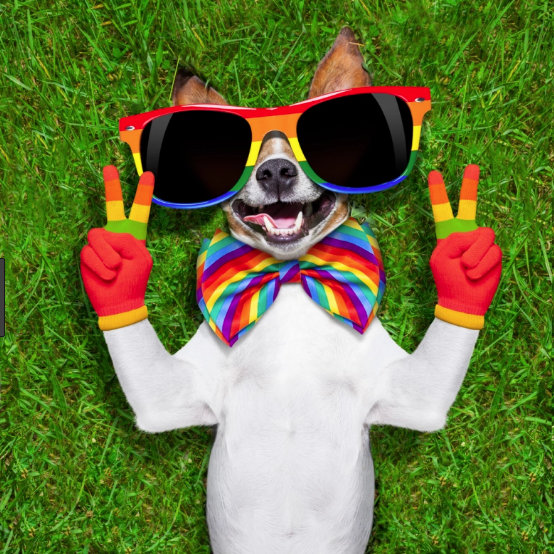 Any questions can be directed to us via our email address: hello@starkdrive.com. These bikes are also done and we will be contacting you to cover taxes and additional fees if applicable for your countries depending on your individualized governmental charges. Closing at the end of March. 100 USD Upgrade rebate for new backers still applies, get your backing in now for an anticipated shipping of end of May.